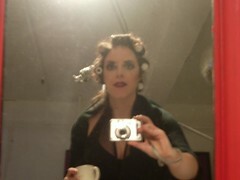 Curlers and a cuppa - I *am* Nora Batty. The light fitting sticking out of my head is not part of the look. As anyone in a band knows, (sadly) it’s not all about the music. You need an image – or at least photographs of everyone in the band in the same room. So a wee while ago the Shadow Orchestra took ourselves along to a chilly – but fantastic – location near Elephant & Castle called Newington Loft to do a bit of posing. 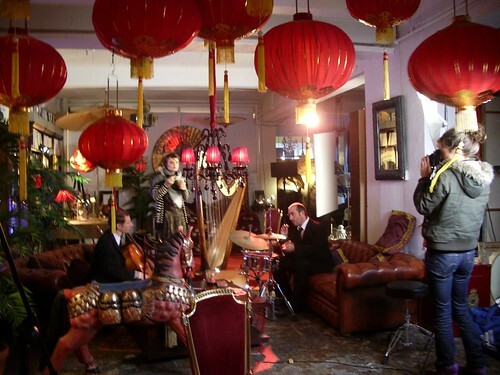 After getting our hair and makeup done by the amazing Valentina Creti, we draped ourselves around the place and started playing our instruments. For hours. I had some serious blisters by the end, but it was worth it. This entry was posted in Rock and roll adventures, The Shadow Orchestra. Bookmark the permalink. Very gothic. 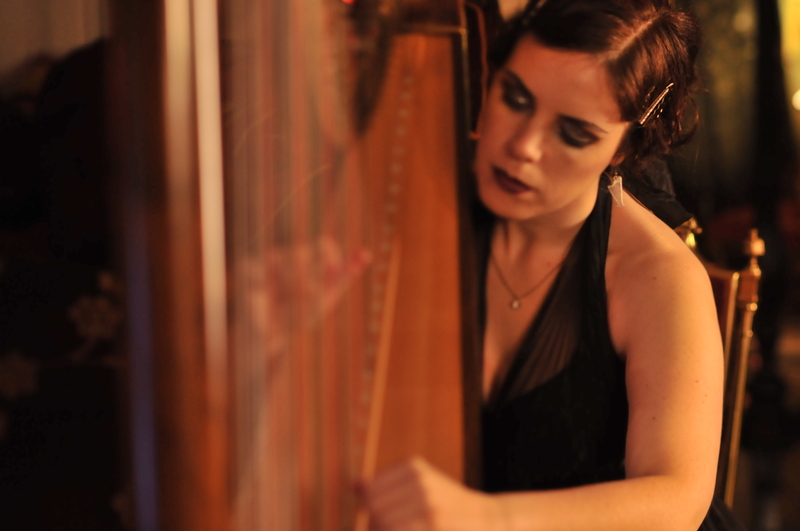 Love the harp earrings. I wasn’t too sure about them as they’re a bit cheesy, but I forgot to bring any other suitable ones to the photoshoot!